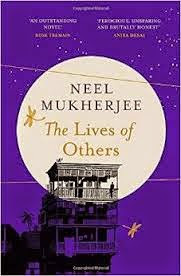 A Little Blog of Books and Other Stuff has a review of Neel Mukherjee’s book The Lives of Others which was shortlisted for this year’s Man Booker Prize. The Little Blog describes the book as “an ambitious and richly detailed family saga” of three generations of Indian family in 1967 Calcutta. 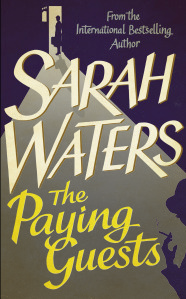 The Little Blog states that the book “deserves it place” on the Booker shortlist. 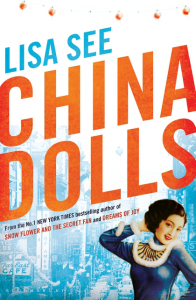 Check out The Little Blog’s review. Shortlisted for this year’s Man Booker Prize, ‘The Lives of Others’ by Neel Mukherjee tells the story of twenty-one year old Supratik Ghosh who has left his comfortable family home in Calcutta/Kolkata to join the Communist Party of India. Set primarily in 1967, the story alternates between Supratik’s new life as a Naxalite activist and guerilla fighter working in the rice fields of West Bengal and the everyday lives of the relatives he has left behind. 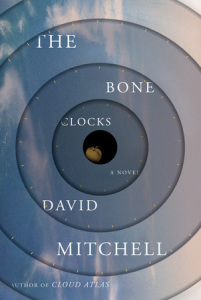 The University of Wisconsin Press blog has both a review of David Mitchell’s (author of Cloud Atlas) new book, The Bone Clocks, and brief interview with Mitchell. The Bone Clock “follows a central character’s life through six decades in six sections.” Some of the sections follow the protagonist Holly Sykes while others allow other characters to tell her story through their interactions with her. 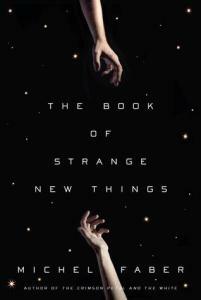 Check out Paul A. Harris’s review of Mitchell’s book. 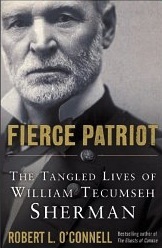 Emerging Civil War has a review of Robert L. O’Connell’s book Fierce Patriot: The Tangled Lives of William Tecumseh Sherman. O’Connell’s book tries to make sense of Sherman live by compartmentalizing it in three different sections: The Military Strategist, The General and His Army, and The Man and His Families. While this structure makes the book somewhat repetitive it helps organize Grant’s somewhat chaotic story. Check out Derek D. Maxfield’s review at Emerging Civil War. Today we are pleased to welcome guest author Derek D. Maxfield with a review of Robert L. O’Connell’s Fierce Patriot: The Tangled Lives of William Tecumseh Sherman (New York: Random House, 2014). He is perhaps the most eccentric general of the Civil War. With his red hair, piercing eyes, and fidgety manner, William Tecumseh Sherman has been called a prophet by some and madman by others. But whatever the label, Sherman was one of the reasons the Union was preserved. We Were Liars: Too Unbelievable For Fiction? The Misfortune of Knowing has a book review of We Were Liars by E. Lockhart. A.M.B. says that the book is in some ways a direct homage to King Lear and Wuthering Heights, but with more plot holes. Check out The Misfortune of Knowing. 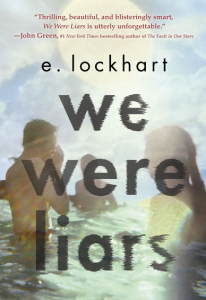 E. Lockhart’s We Were Liars begins ominously: “Welcome to the beautiful Sinclair family. No one is a criminal. No one is an addict. No one is a failure.” The Sinclairs are attractive, wealthy, and messed up. Seventeen-year-old Cadence Sinclair Eastman, the eldest grandchild of Tipper and Harris Sinclair, is giving away her belongings, one by one, except for her well-used library card. When she was 15, something terrible happened to her—and to her family—but she can’t remember it, and no one will tell her the truth. Here is Sorry Television’s review of Flash Boys by Michael Lewis. 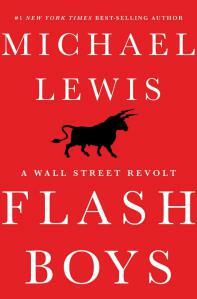 Flash Boys is Lewis’s most recent book about Wall Street. Flash Boys could be best described as a non-fiction mystery book. It examines how one man and stuffy Canadian bank unraveled the mystery of high frequency trading and attempted to help their clients avoid a rigged market. Check out Sorry Television’s review. Robert Bruce has a wonderful blog named 101 Books. Bruce is reading his way through Time Magazine’s 100 Greatest Novels. Book #27 is William Faulkner’s The Sound and The Fury. While I am partial to The Sound and the Fury, I completely understand Bruce’s critique. 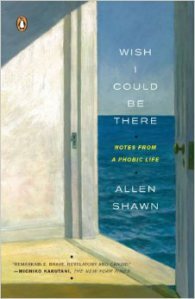 It is a wonderful book, but Faulkner’s stream of consciousness can wear a person down. It is book that almost requires professional assistance. Enjoy Bruce’s review. Reading The Sound and The Fury helped me realize something important: This 101 book project is a lot like marathon training. Over the course of the 16 weeks I trained, I made somewhere in the neighborhood of 60 to 70 runs. Every now and then, maybe once every 10 runs, I would step outside, walk down my driveway, and seriously consider skipping that training run. I just didn’t want to put in the effort that day. I felt unmotivated and thought, What’s it going to hurt to skip one 5 mile run anyway? But I willed myself to put one foot in front of the other. And after about 45 minutes of running, I completed my mileage goal for the day. Even if I was simply going through the motions–getting the “mileage in”–I still felt a sense of accomplishment, satisfied that I had fought through that desire to quit.